Sat 9th JUNE 8pm - The floor is yours! 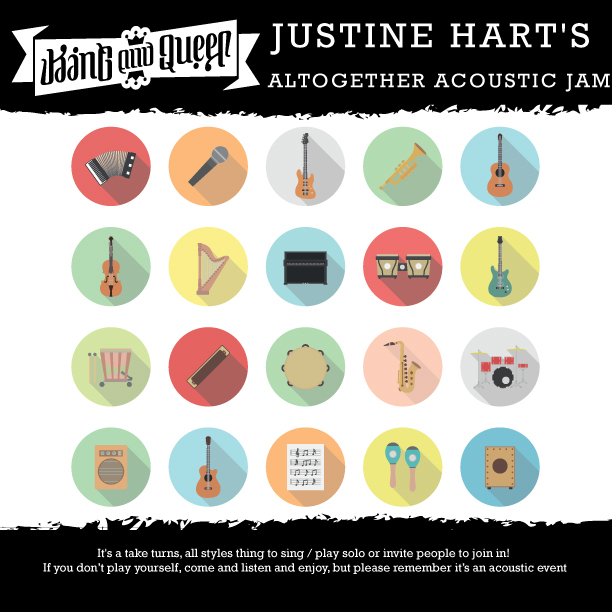 Join Justine at the King & Queen for our acoustic jam session! All welcome. Johnny G - Live Music - Sat 26th May - now at 7.30 inside!